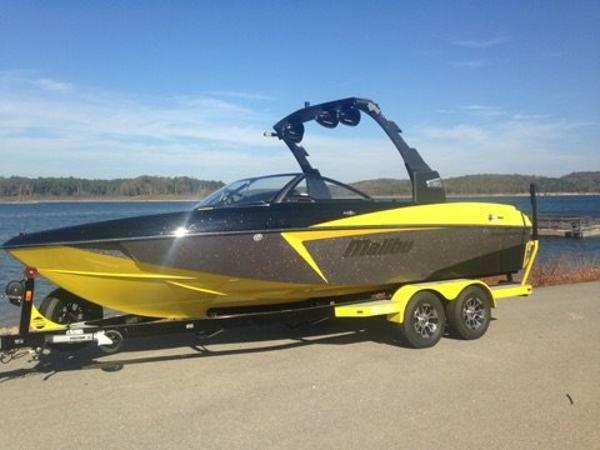 2014 Malibu 23 LSV WAKESETTER This beautiful previously owned Malibu 23 LSV Wakesetter is priced for a quick sale. Only 136 hours and freshwater use only. Green metallic accents paired with black and white really pops on the water. 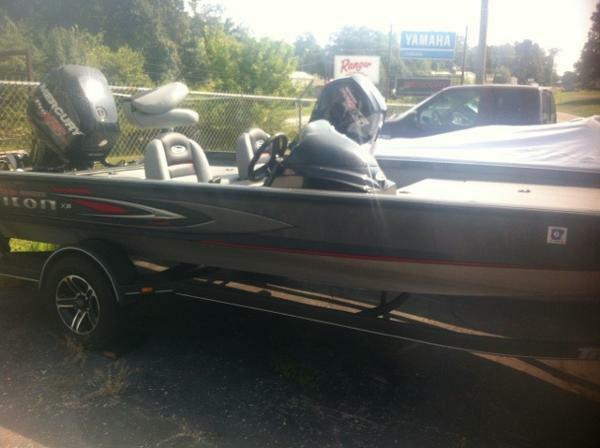 Boat is in excellent condition. 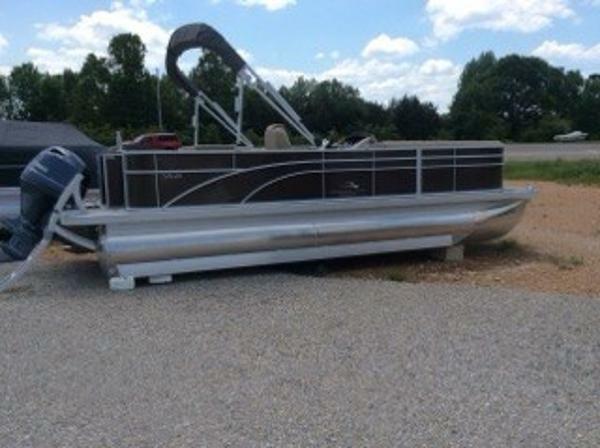 Boat comes with tandem axle Boat Mate trailer. Powering this spectacular boat is an Indmar 6.0L 410HP motor. This is the perfect power plant to propel this boat. 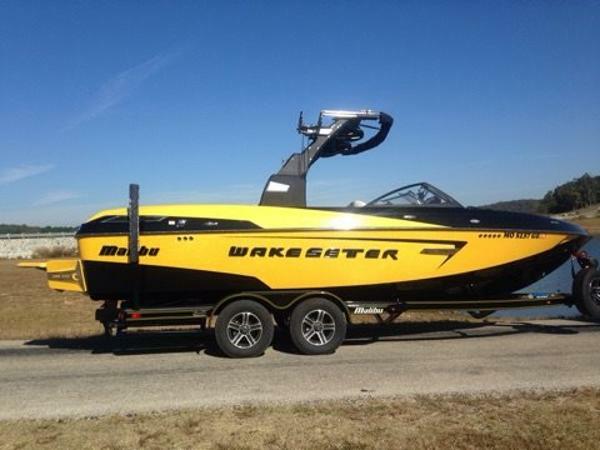 Load it up with extra ballast or people and still have plenty of power left for all your water sports needs. 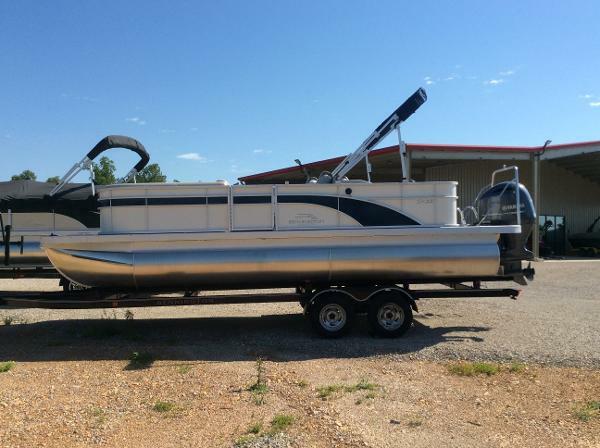 Other options include full 4 Tank Ballast, Power Wedge, Surf Gate, PNP plumbing for extra bags, Diamond Hull, Two battery option, Docking Lights, 3 Outlet heater, Underwater Transom Lights, Pull up cleats, High Altitude Prop, CS Boat Cover, GL Bimini Top, Wake 23 Sound System, 12" Rockford Sub with Amp, Alpha II Tower speakers 2 sets, Spinner Board Racks, Tower Mounted PTM Mirror, and Remote Transom Remote. 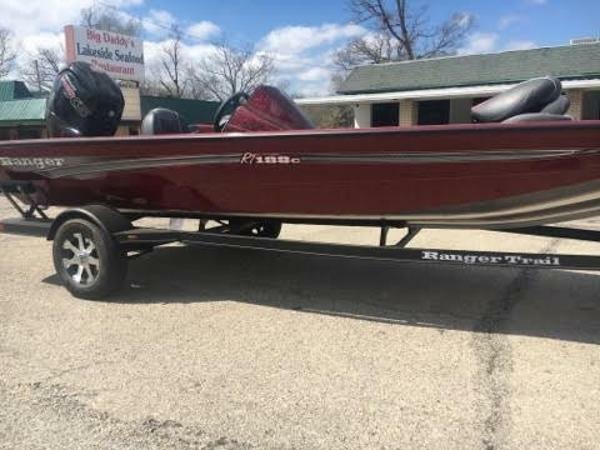 2017 Ranger Z520C Ranger Cup Package Includes: Mercury 250 Pro XS Optimax Lowrance HDS 12 @ console Lowrance HDS 9 @ bow 2 8 Power Pole Blades Minnkota Fortrex 112 trolling motor 3 Interstate 29 deep cycle trolling batteries 4 X 15 amp Dual Pro on board charger Oxygenator livewell system Battery gauge in transom well Trailer parking brake Rigid Industries back up lights on trailer Raptor wheel upgrade Options include: FLW color package (Graphite mist, Canadian Blue mist, Performance white, & Silver Anniversary mist), Dual console, Deluxe Ranger boat cover, Atlas hydraulic jack plate w/ LED digital gauge at console, Hambys keel protector, Lowrance Point One GPS module, Lowrance Structure Scan transducer w/ Ethernet networking, Oil gauge at console, Remote livewell pump out at console, Hot Foot w/ slide adjustment, Tilt steering, Dual Pro Trim levers at steering wheel, and Transom motor support. 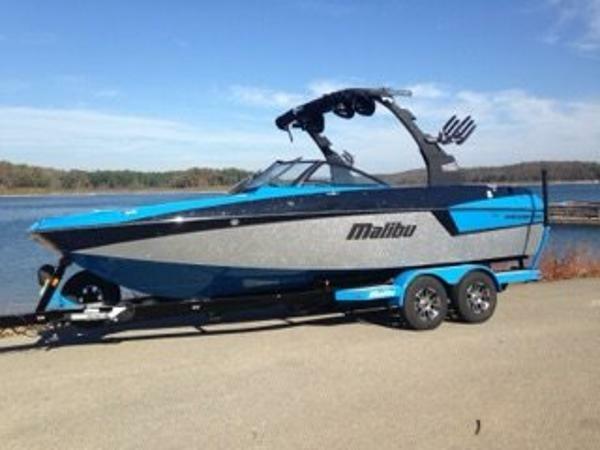 2017 Malibu 23 LSV WAKESETTER The 23 LSV is the number one selling 23ft Tow Boat in the world. 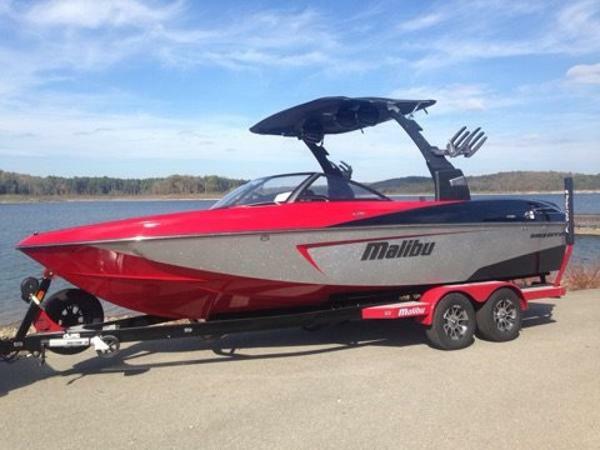 This boat continues to smash sales records every year. It is known for its reputation for massive waves and wakes along with its sports car like performance and handling. This boat is loaded with features that include. Great Lakes Hang-Tyte Boat Cover, Bimini Top with Surfboard and Rope Storage, Zero off GPS Cruise Control, Windshield PTM Mirror, Non Skid Deck Trac, Sport Dash with Rotary 4 Way Joystick, Soft-Grip Flooring, Wideview Backup Camera, Power Lift Helm Seat, Monsoon 6.2L 450 HO Motor, High Altitude Prop, 3 Outlet Heater, Battery set Up Option 2 with Batteries, Docking Lights, Underwater Transom Lights, 8 Speaker in boat Wet Sounds, 12 Inch Sub with AMP, G4 Tower with PTM Clamping Racks, Wet Sounds REV 8 Tower Speakers 2 Sets, 4 Tank Ballast System with Plug and Play, Power Wedge 2, Surf Gate with Surfband, and Tandem Axle Malibu Trailer with Spare. Exterior Colors Indy Red, Black Metallic, Machine Silver Metallic. 2017 Axis A22 New Pearl white metal flake color new for 2017, and Reuben make for one sharp looking Axis. Other features include Hang-Tyte Boat Cover, Bimini Top with Surfboard and Rope Storage, Depth Finder, Zero Off GPS Cruise, Flip Up Drivers Seat Bolster, Rear Slide Skybox Seating, Chillax Flip Up Seat, Snap In Carpet, Stainless Cup Holders, Monsoon 6.0 410HP Engine, High Altitude Prop, 3 Outlet Heater, Dual Battery Switch and Two Batteries, Pull Up Cleats 2 Pair, Ski Pylon, Storage Lights, Underwater Lights, Docking Lights, Underseat Lighting, Stereo Option 2, Transom Stereo Remote, Quick release Tower Latch, Spinner Board Racks, Wet Sounds Icon 8 Tower Speakers 2 Sets, Plug And Play Ballast Plumbing, 3 Tank Ballast, Surf Gate with Surfband, Wedge with Auto set Position Indicator, and Tandem Axle Axis Trailer with Spare. 5 year warranty! 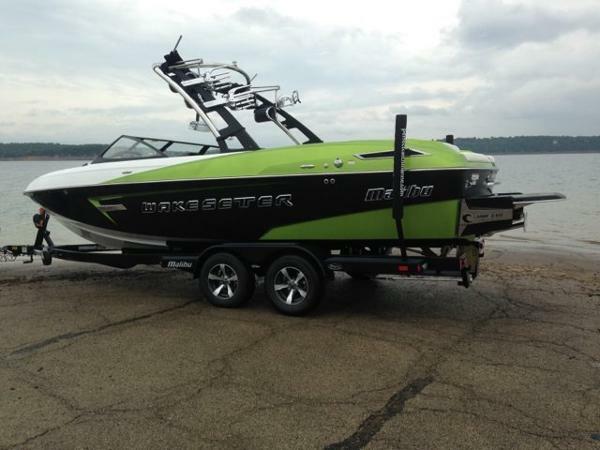 2015 Malibu 23 LSV WAKESETTER Recent trade in. This boat is loaded with options. 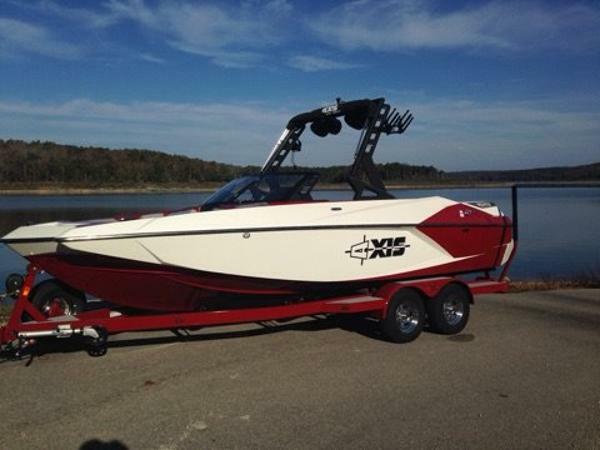 Features included on this boat, Bimini Top with Surf Board and Rope Storage, Hang-Tyte Boat Cover, High Altitude Prop, 6.0L 410HP Monsoon Engine, 3 Outlet heater, Wake 23 Sound system, 12 inch Subwoofer Rockford with amp, Illusion G4 tower with Spinner Board racks, Wet Sound Rev 8 speakers 2 sets, Full Malibu Ballast system with front tank, PNP plumbing with two rear Bags, Power Wedge 2, Surf Gate, Cockpit Table, Deck Trac Non Skid, Windshield mounted PTM mirror, Snap out Carpet, Sport Dash with Rotary Dial, Zero Off GPS Speed Control, Docking Lights, Underwater Lights, Diamond Hull, Dealer installed Surf Band, and Boat Mate Tandem Axle trailer with spare tire. Warranty transfer to 2nd owner. 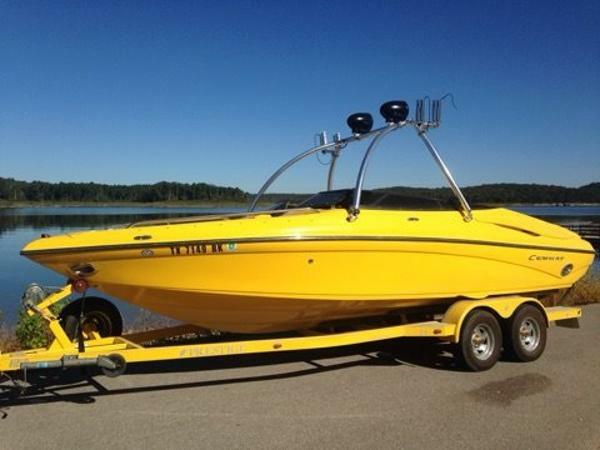 Boat is Yellow Metallic and Black. No Sales Tax if sold in Arkansas. 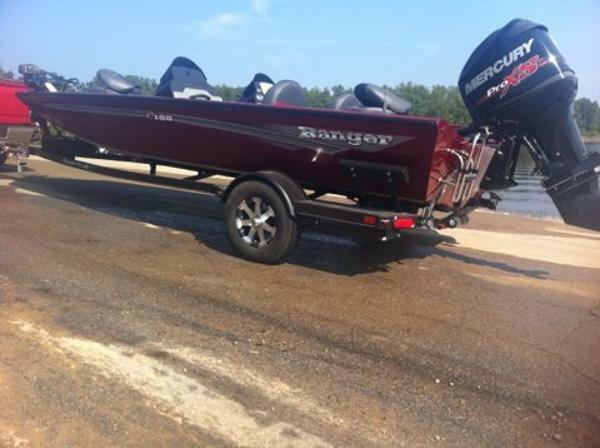 2017 Ranger RT Series We currently have 2017 Ranger Aluminum boats in the RT188, RT188c, RT178, and the all new RP198 models on order and will be arriving in the near future. 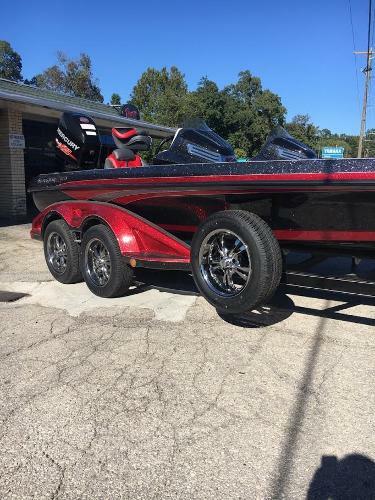 Please call Tony at (870) 445-2628 to discuss the options and pricing of these boats and/or the options and pricing of a custom ordered boat. We appreciate the opportunity to earn your business! 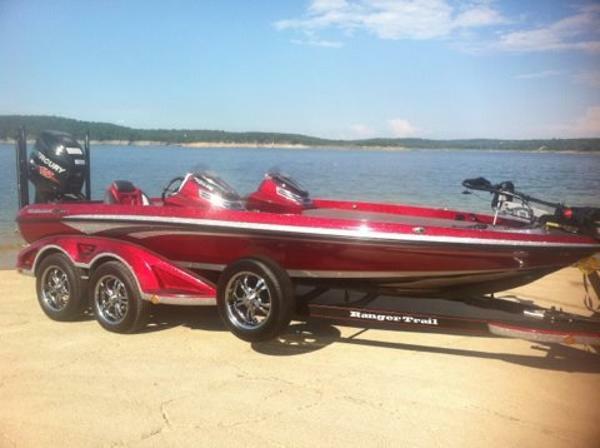 2016 Ranger Z520C Demo Options Include: Custom Color (Red Mist, Silver Anniversary Mist, and Carbon Mist), Touring package (Hamby’s keel protector, Oxygenator in livewell, Deluxe Ranger boat cover, Trailer parking brake, Raptor wheel upgrade, & Rigid Industries backup lights on trailer), Deluxe Ranger outboard cover, Dual console, Remote livewell pump out at console, 8” Atlas hydraulic plate, Atlas digital gauge at console, Dual Pro Trim levers on steering wheel for trim and Atlas plate, Hot Foot w/ slide adjustment, Tilt hydraulic steering, Oil gauge in console, 4 X 15 amp Dual Pro on board charger, Minnkota Fortrex 112 lb. US2 45” shaft trolling motor, Rigid Industries trolling motor spotlight, Rigid Industries deck lighting package, Lowrance Gen3 12” touch graph back mounted at console, Lowrance Gen3 12” touch graph back mounted at bow, Lowrance Point One GPS module, Lowrance Structure Scan transducer w/ networking, Lowrance Spotlight Scan imaging on trolling motor, Extra 12 volt receptacle, Infinity AM/FM radio w/ Bluetooth and MP3, Two 8’ Power Pole Blades w/ switch at console, Power Pole Advanced foot switch at bow, Fish Guardian livewell system, Three group 31 deep cycle trolling batteries w/ tray and strap, AGM group 31 cranking battery w/ tray and strap, Rite-Hite motor stabilizer, 17” Bullet wheel upgrade. 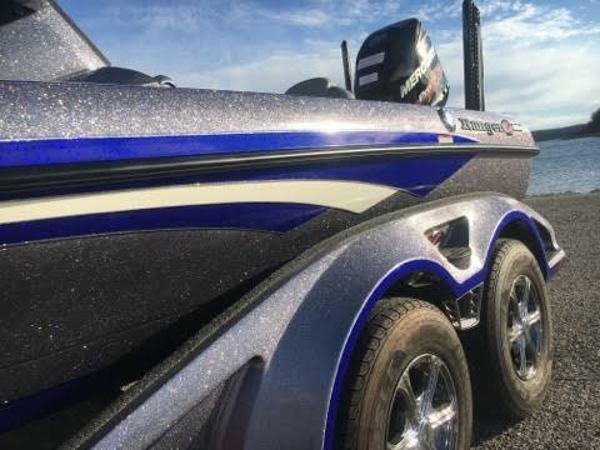 The purchasing customer of this demo boat will be the first registered buyer, and the boat will come with full factory warranties beginning on the date of purchase. Please give Tony a call at (870) 445-2628 special Demo pricing. We appreciate the opportunity to earn your business!